You don’t want to diet. You just don’t. The last one was abysmal. Most likely, this one will be abysmal. Diets are abysmal for everybody and life is short. The only thing you want to count is cards. But, you’ve heard of all the benefits of detoxing and tons of ways people do it. 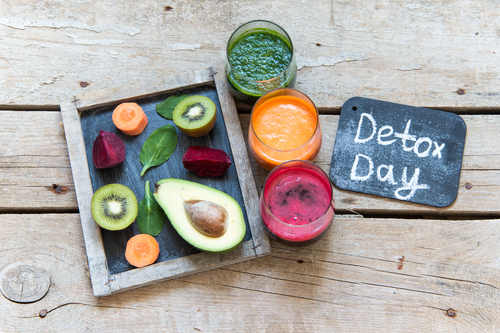 From water cleanses to juice-only to certain berries, detoxing is a big thing. 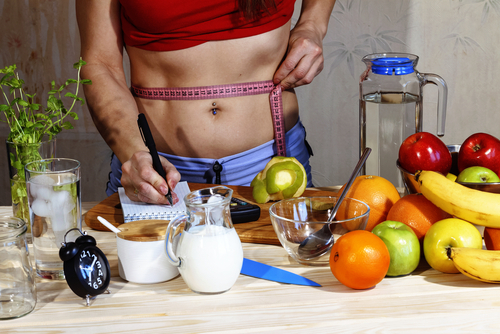 Isn’t there some steps you can take to skip the diet and just detox? Why, yes, there are. You’re welcome. Here are 10 steps to increase testosterone and detox the non-restrictive way. Even though your liver is responsible for flushing your body, sometimes it gets clogged, too. A detox is a good way to make everything flow smoothly and build your energy. Nasty side-effects of a clogged liver are body odor, a lot of sweating, craving for junk food, and fatigue. But, you don’t have to live with this. A simple recipe can detox your liver. Just fill a glass with some filtered water, organic lemon juice, and oregano oil. Three drops of oregano oil are enough. The original recipe also has colloidal silver, but this ingredient comes with a lot of risks, isn’t a natural element in your body, and for safety’s sake, should only be used in your cavities. No, this isn’t related to chloroform or chlorophyll. That would be strange. This food will naturally boost vital nutrients in your body. With more nutrients flowing through, detoxification is inevitable. Due to no joke coming to mind, the straight talk about Milk Thistle is that it has Silymarin. This antioxidant lowers blood sugar and is beneficial when you’re suffering from diabetes, cancer, and chemical exposures. So, no on becoming a superhero by jumping into a vat of chemical waste. With 2,000 years of experience throughout Greece and Rome, Silymarin has more than proven it can help your life. Plastic and microwaves are a bad idea. As plastic heats up it puts toxins in food and drinks. Even when it isn’t hot, plastic can add unwanted chemicals. Buy, store, and microwave food using glass. If you have an infant, do your research on BPA-free plastics. These may not be as healthy as they are touted to be. Watermelon isn’t just recommended for hot summer days. Full of the antioxidant lycopene, watermelon is great for your endocrine system. Healthy kidneys support testosterone levels. If you mix 2 cups of watermelon and a peeled lime, you can detox your kidneys. To clean up your liver and gallbladder, mix together one cup of radish juice, a cup of purple cabbage, and a rib of celery in a blender. A hamburger, or spicy chicken, may be the first on your list when entering a restaurant, but ask how the meat was prepared. Grass-fed beef, wild game, and free-range chickens are the best for your body. These may be more expensive, but you’ll be saving on unnatural hormones and chemicals that’ll affect your health later. Shampoo, put on deodorant, and lotion. It’s only civilized behavior, but check the ingredients of your health care products. If you see parabens, leave it in the bin. These can harm your testosterone levels and mess up your detoxification goals. Start with pure water. If you’re drinking from the tap, use a filter and replace it every three months. Grab a stainless steel water bottle and, at minimum, drink 64 ounces per day to clear your system and protect your testosterone from cortisol. 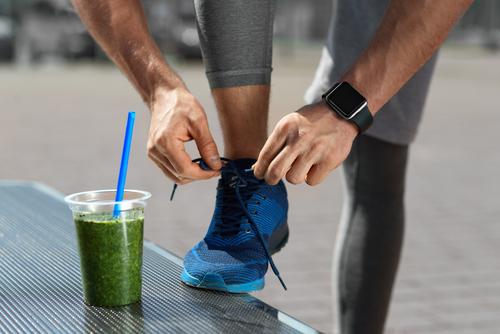 You might only think of your colon when you’re constipated or you have a dreaded exam coming up, but it’s important in your detoxification regime. Some natural plant-based foods, full of fiber, include psyllium husks, burdock root, and cascara sagrada. These probably aren’t at your neighborhood grocery store, but if you go to a health food store you can grab these items. Check for other products that can cleanse your colon while you’re there. Fruits may be your go-to, but vegetables are known for detoxing. Add Brussels sprouts, onions, garlic, cabbage, broccoli, and beets into your meals to detox, easily. If you don’t like the taste, look up some recipes that’ll hide it. Or add ketchup. Ketchup solves everything. Heinz knows this. Organic foods, drinks, and cleaners all go together. When you’re cleaning the grill or waxing your car, read the ingredients. If it’s full of stuff you can’t pronounce, don’t use it. You shouldn’t need a PhD in Chemistry just to know what’s going into your lungs. Yeah, that’s right. Even outside a lot of that grill cleaner wafts back and ends up in your lungs. Buy organic. Heading to the gym is not only great for building the muscles that the ladies like but detoxifies your body. You burn fat and sweat out harmful toxins that might have set up shop inside of you. To get the most benefit, hit the gym 3 – 4 days a week and get rid of those microscopic leeches. Aerobic exercises, like walking, biking, or swimming, are recommended while cleansing your system. Detoxifying your body, and supporting your testosterone, isn’t a no-brainer, but it’s very doable. Small changes, some reading, and frequent trips to the organic section of the grocery store will help you get a handle on this. Start slow. Add changes one by one and detox without a diet.